Product categories of Plastic Jar Food Blenders, we are specialized manufacturers from China, Plastic Jar Food Blenders, Plastic Jar Blenders suppliers/factory, wholesale high-quality products of Blender Food Processor R & D and manufacturing, we have the perfect after-sales service and technical support. Look forward to your cooperation! We have a full range of plastic jar Food Blenders, including 1L, 1.25L, 1.5L, 1.6L plastic jar food blenders with grinder. Plastic jar also have different materials, PS jar, AS jar and PC jar. 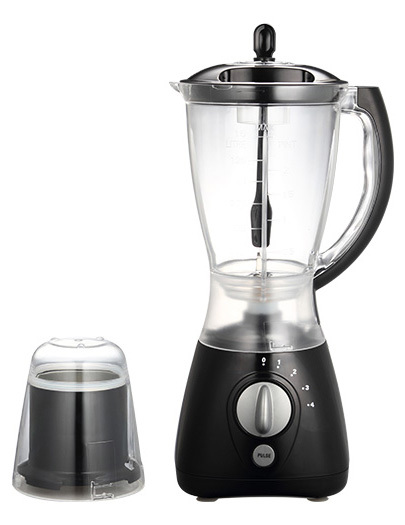 Plastic Jar Blenders usually with 300/350W 7020 or 7025 motor.